· You are able to place your reservation until 2 days (Lugo time) before the tour in case there are available spots. Visit the spring of the river Miño and a small walk in it. 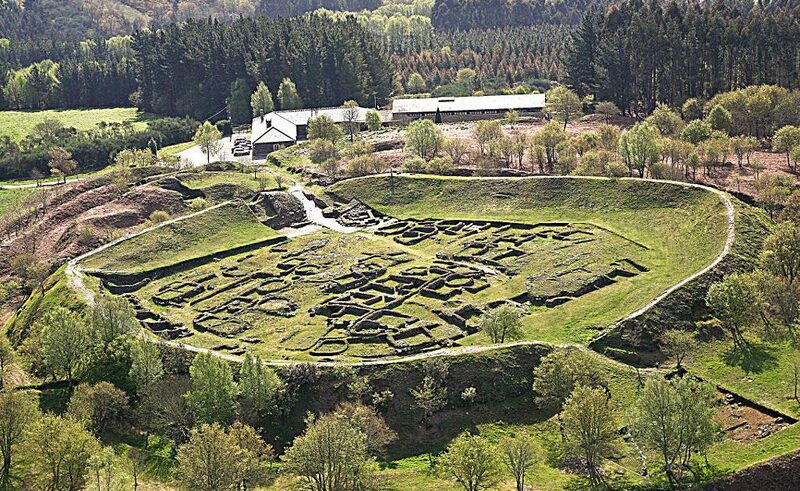 Close to the city of Lugo we find the pre- Roman (or Celtic) fortification of Viladonga, a good and well-preserved example of pre-Roman settlement, dated from the III – V centuries. The “castrexos”, the people who occupied the Galician lands before the arrival of the romans, lived in this kind of settlements. Romans occupied these settlements, changed their structure and developed streets and houses. The settlement is still being studied; it is possible to visit it almost completely. It can be seen the roots of houses, streets, defensive walls and even some public building. To complete the excursion, we could visit also the settlement’s museum, which is very educational and explanatory. At 15 km north to the fortification, close to Meira we will find the lake of Fonmiñá, a lake where are joined subterranean and karstic waters, coming from different springs and from here it starts its way the “father river” Miño, the most important river in Galicia. In this lake we can have a walk and see the sculpture dedicated to the Galician hero Breogán, made by Magín Picallo and Manuel Mallo. At 10 km northern, in the “Pedregal de Irimia”, there is another spring from the river Miño. It is a glacial moraine where the subterranean water arises from the earth by a small hole. There are many legends about this place, related with the river Miño. From these two points, the river Miño starts a path crossing through 350 km in Galicia, going through different cities such Lugo or Ourense, leaving and forming spectacular landmarks like Ribeira Sacra, full of vineyards and monasteries, and it ends by making a natural frontier between Galicia and Portugal for 40 km.